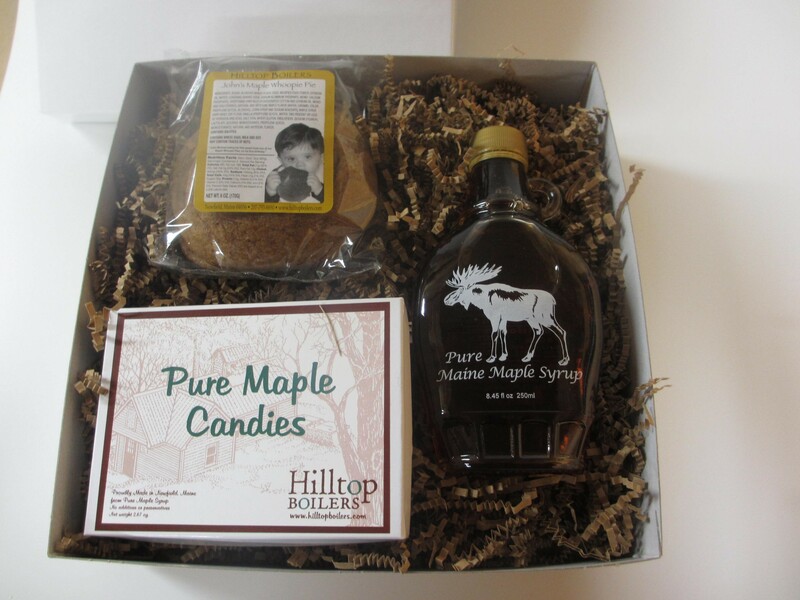 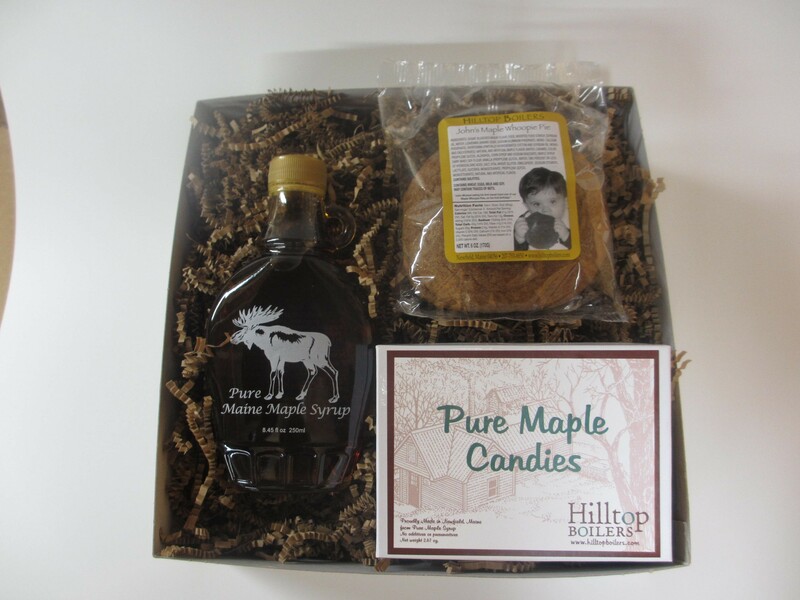 The Hunter’s Dream gift box is filled with a large bottle of syrup depicting one of the 29,000 moose in Maine, a box full of pure maple candies, and a huge maple whoopie pie. 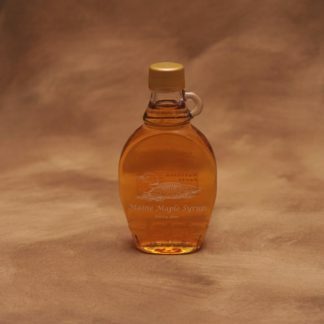 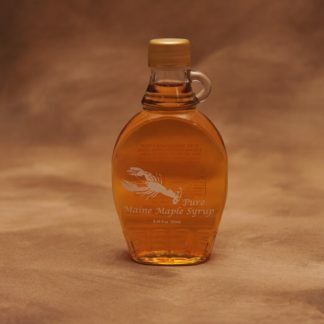 Fresh from our sugarhouse in Newﬁeld, Maine; Maple Syrup is produced only in the spring as maple sap is boiled down to a delicate sweet golden brown syrup. 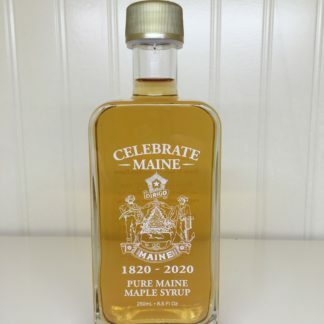 Celebrating Maine’s most impressive animal, the moose, this moose bottle comes with a screw cap and gold safety seal. 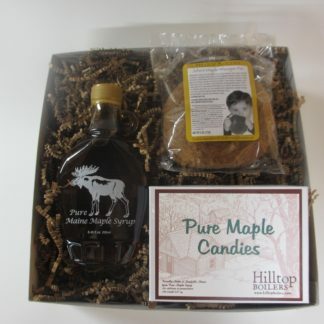 The box of pure maple candies contain a generous amount of maple leaves sure to slowly melt-in-your-mouth. 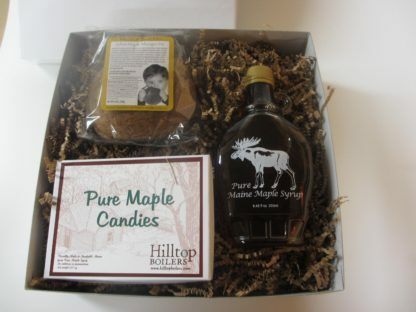 Lastly, a huge “State of Maine Treat.” The maple whoopie pie is delicious from the very ﬁrst bite. Kids will love them, adults will crave them.